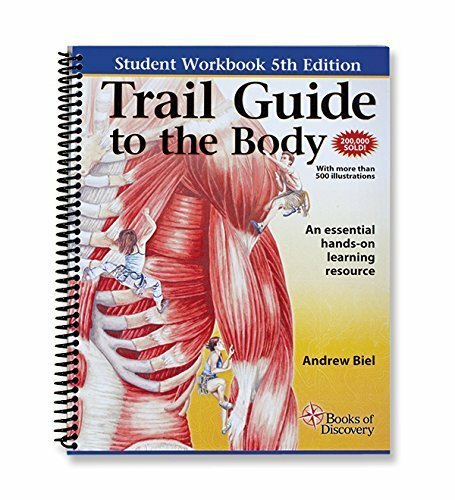 Trail Guide To The Body Student Workbook, 5th Edition Before you can assess or treat a muscle, you first must be able to locate it. This acclaimed book delivers beautifully illustrated information for learning palpation and the musculoskeletal system. It makes mastering the essential manual therapy skills interesting, memorable and easy. 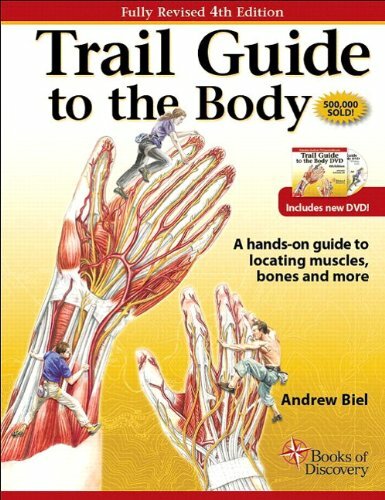 With 440 pages and 1,400 illustrations covering more than 162 muscles, 206 bones, 33 ligaments and 110 bony landmarks, this text provides an invaluable map of the body. 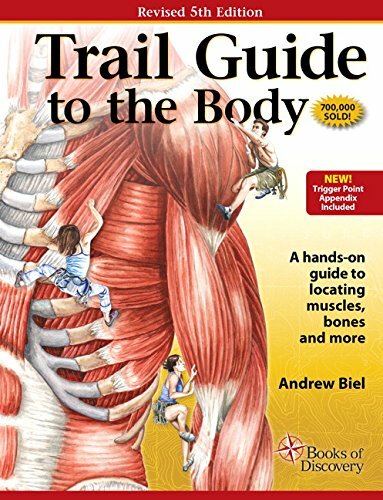 Trail Guide to the Body is a highly recommended textbook for the state licensing tests administered by both the National Certification Board for Therapeutic Massage and Bodywork (NCBTMB) and the Federation of State Massage Therapy Boards (FSMTB) and is one of only five books on their official examination reference lists. 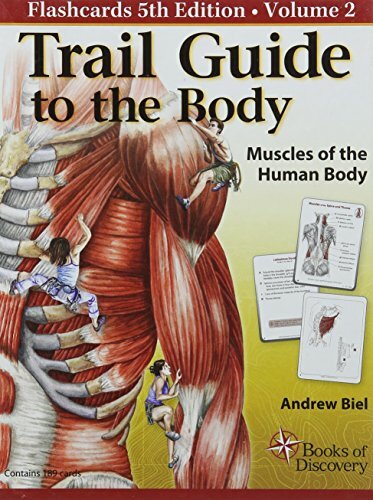 Whether you are a massage therapist, physical therapist, sports trainer or student in any bodywork modality, Trail Guide to the Body is for you! Flashcards are a powerful way to learn and memorize anatomical structures - especially when they have images identical to those in the textbook. Repetition aids retention! Volume 2 covers the muscles of the human body with 189 cards. These flashcards cover the following chapters in Trail Guide to the Body: Shoulder/Arm, Forearm/Hand, Spine/Thorax, Head/Neck, Pelvis/Thigh, Leg/Foot. Features of these flashcards include beautiful, hand-drawn illustrations in a two-color format, a list of the Action, Origin, Insertion and Nerve innervation (AOIN) of each muscle, and the pronunciation of each muscle. Page references in the bottom corner are for finding more information in Trail Guide to the Body Textbook. Quick symbols are in the upper right-hand corner. Call-out letters (a, b ,c ,d) have been placed next to each structure to help you identify the specific structure in question. Binder ring that lets you organize cards to study only those you need, and they are durable, coated cards (5 1/2" x 4') that are easy to handle and made to last. 5th Edition. Published September 2014. ISBN 978-0-9829786-8-9. 5th Edition, 230 pages, 500+ Illustrations, ISBN # 978-0-9829786-6-5. New edition published September 1st, 2014. The essential companion to the Trail Guide textbook, this workbook asks students to apply the material by answering questions in a variety of formats including fill-in-the-blanks, drawings to color, illustrations and matching exercises. Great for self-testing, homework and preparing for national exams. The Student Workbook helps students stay on track and keep pace with the class. 230 pages and more than 500 illustrations. "We have made both the book and workbook mandatory for the students and eliminated another study guide we had been using. 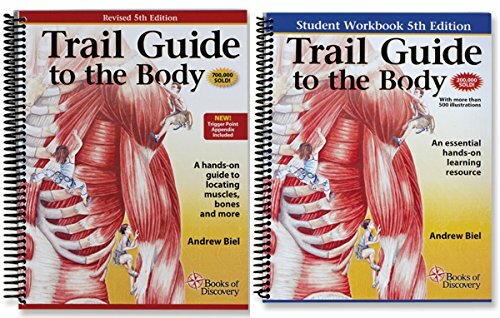 The Trail Guide workbook makes musculoskeletal anatomy much clearer for the students. It readily addresses the needs for both visual and cognitive learners." Jayne H. Culloo BSE, L.P.N., L.M.T., NCTMB - American Institute of Alternative Medicine. A resourceful complement, this handbook contains 230 pages and more than 500 illustrations, it is a fun learning tool that will test a student's Trail Guide knowledge. Trail Guide to the Body is the most effective and engaging way to master palpation and musculoskeletal anatomy. Now, the new 4th Edition offers even more — new illustrations, practical tips, more kinesiology and a complimentary DVD that brings palpation to life! Included for the first time with the textbook —a complimentary DVD for practicing palpation! Author Andrew Biel coaches students on palpation in this dynamic 3-hour complimentary DVD. 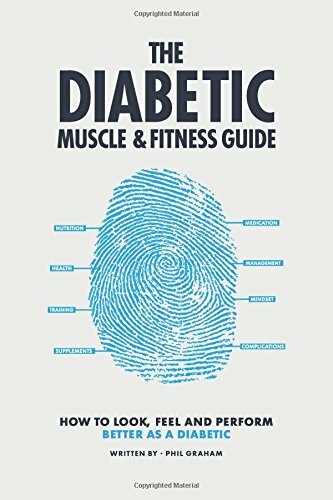 It covers 79 muscles, key bony landmarks and includes more than 200 illustration overlays. 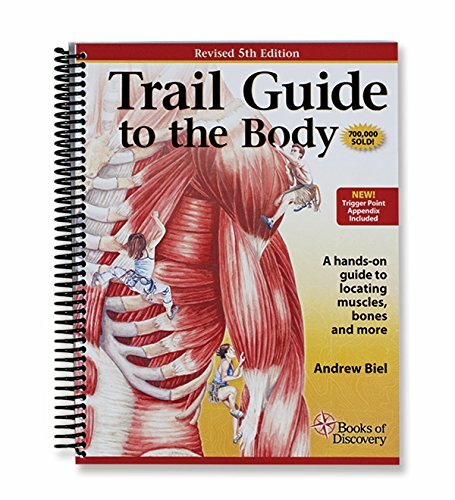 Trail Guide to the Body is a highly recommended textbook for the state licensing tests administered by both the National Certification Board for Therapeutic Massage and Bodywork (NCBTMB) and the Federation of State Massage Therapy Boards (FSMTB) and is one of only five books on their official examination reference lists. Looking for more Muscle Guide similar ideas? Try to explore these searches: Cutting Foam Rubber, Ceramic Poodle, and 144 Roman Tub Set. Look at latest related video about Muscle Guide. Shopwizion.com is the smartest way for online shopping: compare prices of leading online shops for best deals around the web. 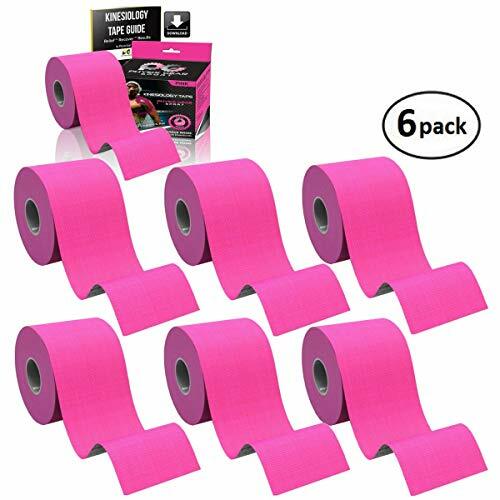 Don't miss TOP Muscle Guide deals, updated daily.